What a terrible thing, dropping your phone in water, especially if it’s a new Samsung Galaxy or an expensive smartphone whatsoever. In the unfortunate event of getting your Samsung wet, you need to follow a precise set of steps that will hopefully protect your device from getting burned inside and maybe start again. 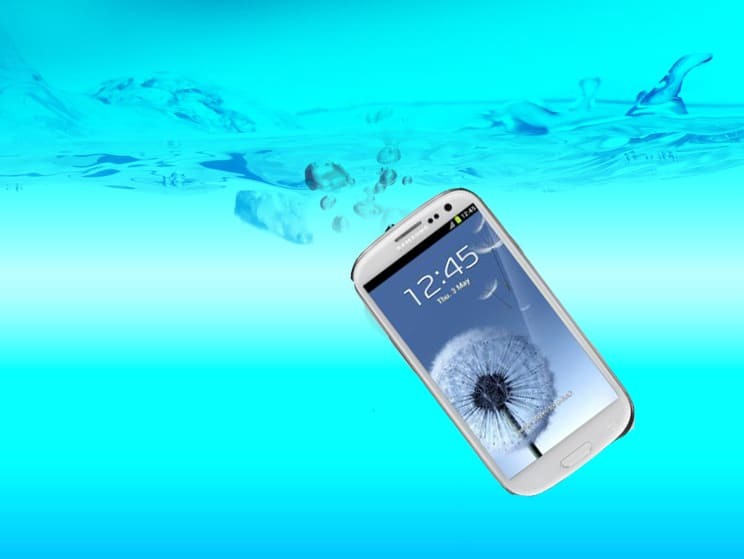 Here are a few steps that are meant to recover your Samsung or other smartphone in the event of getting it wet. First of all, never get your smartphone wet. But if you do, once you drop the phone into water pick it up immediately and, if it didn’t already get turned of, you turn it off instantly. Do not turn it on under no circumstances because that’s how you get the circuits burned. The next step is to remove the back case and pull out the battery. Grab some paper towels and gently dry the components with them. Some people may want to use a hairdryer in this stage, but that’s strongly unadvised because there’s a chance components will get damaged and water may get even further inside the device. Now this stage may seem a bit strange, but there’s a perfectly logical explanation for it. Take a plastic container and fill it with dry, raw rice. Then wrap the phone in some paper towels and place it in the middle of the container inside the rice. The reason you have to do this is because rice absorbs moisture very well. What you need to do now, is to leave the smartphone there a few days, preferably in a warm place. When you are done waiting, reassemble the phone after making sure it is completely dry. What you are hoping for right now is that your phone has no burned circuits and powers on. Remember that water damage is not covered by the phone’s warranty. You can then take the phone to a local service center to get it checked out.